Square Bead w/ Lanyard - Spyderco, Inc. Page 771 – Spyderco, Inc.
Lanyards and fobs are a popular way of spicing up folding knives and making smaller knives easier to access and draw. 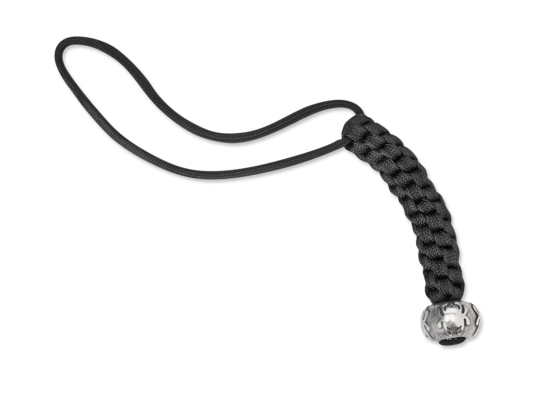 This handsome lanyard is hand crafted from nylon parachute cord and features a box-weave pattern and a square Spyderco bead. 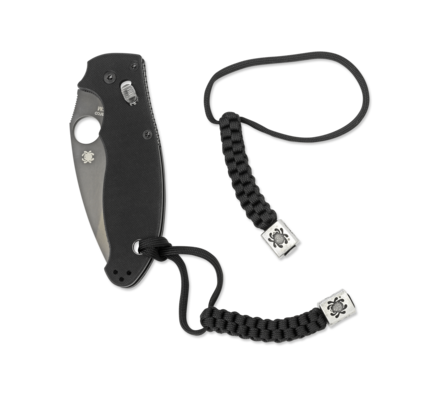 Cast from genuine pewter, the bead proudly displays Spyderco’s iconic “bug” logo on all four sides. Ready to install on your favorite knife, this unique lanyard measures 6.5 inches overall with a three-inch woven section.